With full specifications and price. Tudor updates its Heritage Black Bay collection with a new bronze case. Introducing the Tudor Heritage Black Bay Bronze. And the new case is not the only new feature. It is now equipped with an in-house manufactured movement: the MT5601. Now updated with live pictures! Sidenote: The news of this novelty was broken on March 13 when a leaked Tudor advertisement meant for a certain print press found its way into the Instagram stream of a blog. Soon the internet and social media sites were ablaze with news of this new release. Some other blogs reported on the leak blog in an attempt to hog traffic. But at Deployant, our principle is respect, and we consulted with Tudor on the leak. It is the practice of some brands to lift the embargo (set for March 15, 10pm Basel time) when a leak occurred. However, Tudor PR advised that the embargo was still in place, and we kept with Tudor’s decision and the embargo. This article is released on the dot at 10pm March 15, Basel time. 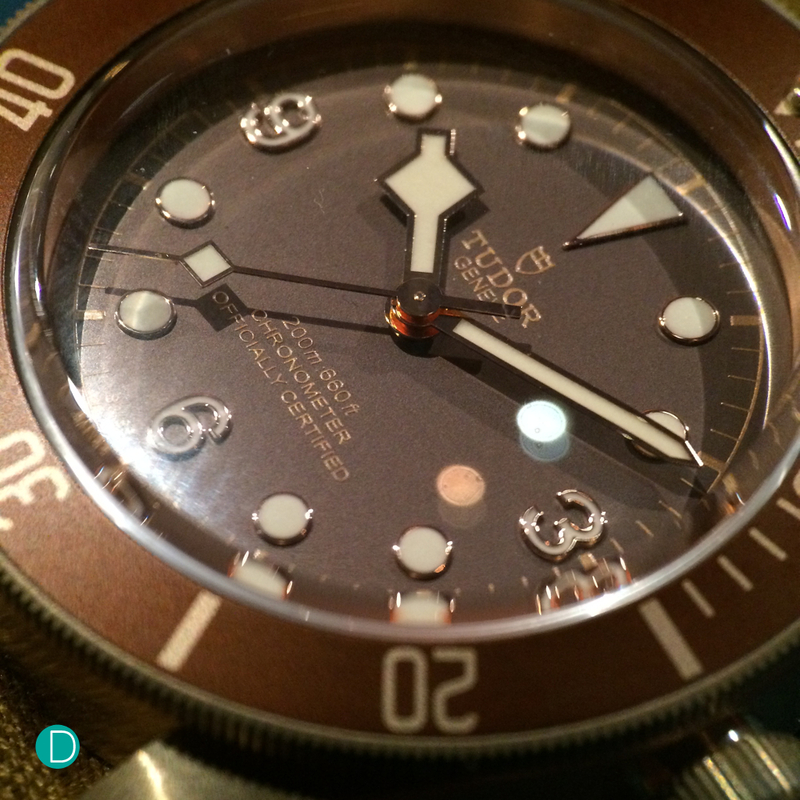 We have prepared this article earlier with the press information, but also included here are some LIVE images as our editor gets the World’s first hands-on of the new Tudor Heritage Black Bay Bronze. Images marked with the Deployant logo watermark are original and live photographs. The Tudor Heritage Black Bay family is one of the popular ones in their collection. In our review of the Tudor Heritage Black Bay Black, we lamented over the use of the ETA 2892 movement in the watch. Tudor responded. The new Black Bay Bronze now comes with its own manufactured movement. More on that later. 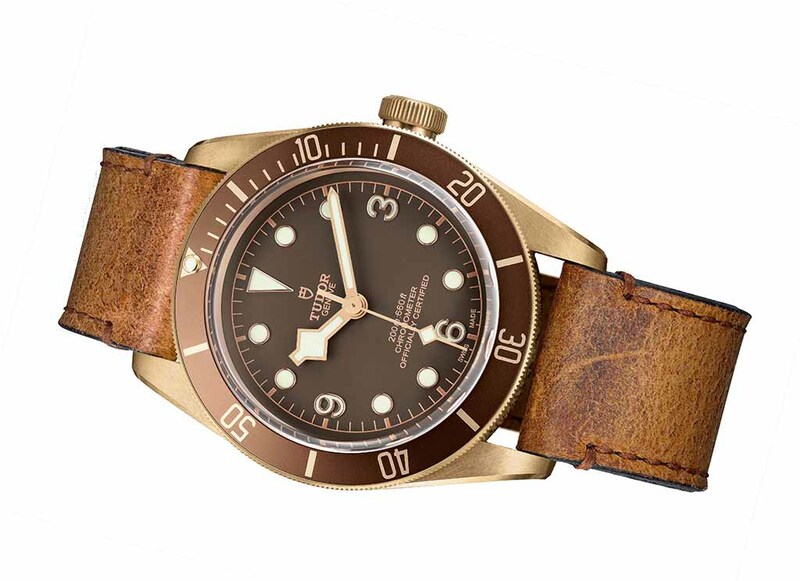 The latest Heritage Black Bay from Tudor..now the Bronze cased version, with chocolate dial, and brown/gold accented bezel. The new watch comes with 43mm diameter case which is 2mm bigger than the Black Bay Black case. The characteristic elements have been drawn from Tudor’s history. The dial and domed crystal, from the first Tudor diving watches are kept. The prominent winding crown from the famous 7924 of 1958, known as the Big Crown remains a feature. The characteristic angular hands, known as snowflake, and the drilled holes on the side of the lugs and pronounced chamfering remain in place. And now the case is now in bronze. 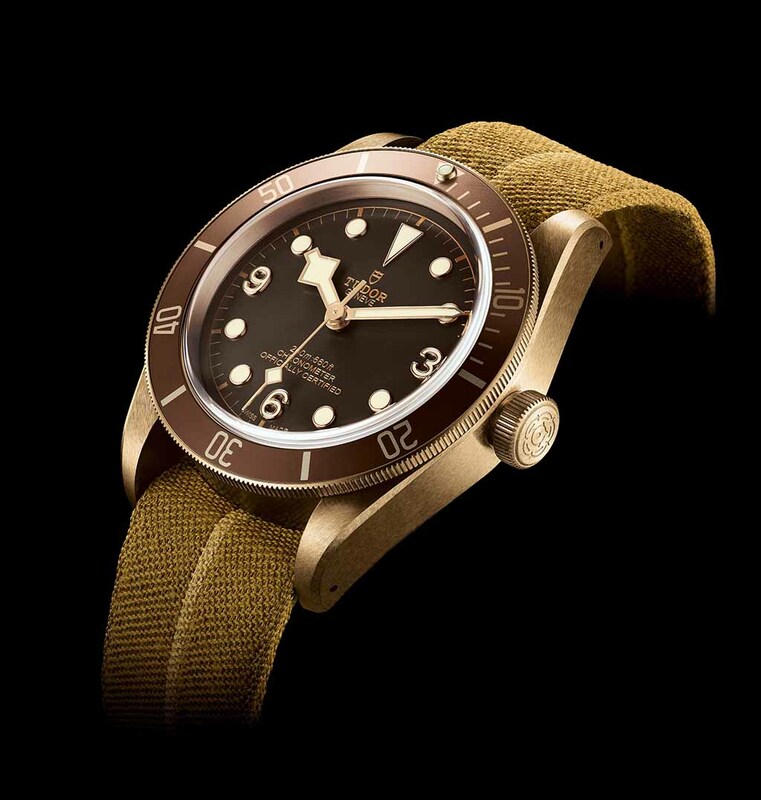 Tudor elected to use a bronze case, not only in response to the various bronze offerings from Panerai to IWC, but also as an aesthetic reference to the bronze used in historic ships and diving equipment. The alloy used is a high performance aluminium bronze, and is particularly suited to the development of unique patina. Tudor Heritage Black Bay Bronze. The dial is chocolate brown, as is the bezel with golden and beige accents completes the model’s looks. The movement is interesting. Reference MT5601. 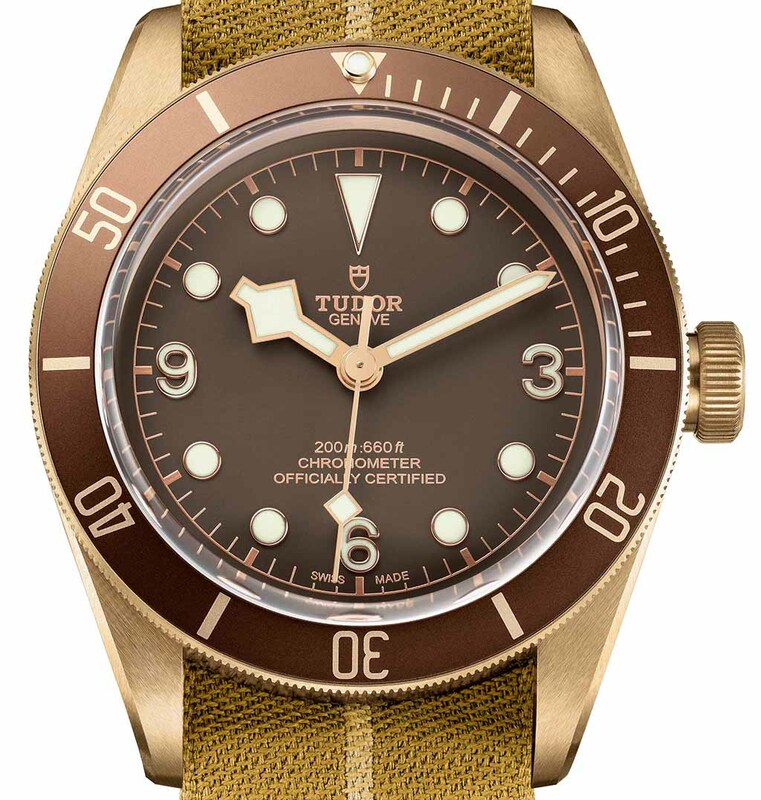 It is a variant of the Tudor manufactured movement of the MT5621 used in the Tudor North Flag and the new Pelagos announded in 2015. Power reserve is 70 hours at 28,800 bph, the movement is regulated by a variable inertia oscillator with a silicon balance spring held by a full bridge. COSC certified. The jaquard fabric strap is inspired by a found historic Tudor watch, possibly issued to the French Navy who had removed the original bracelet, and fitted with a strap made from the French Rescue parachute. A historic strap in woven jaquard is fitted. This is a reflection of the strap found from a period watch and is made from a French rescue parachute. The Heritage Black Bay Bronze is also accompanied by an aged brown leather strap. Pricing is typical value-for-money Tudor style. The Heritage Black Bay Bronze is recommended for retail at CHF3800 inclusive of Swiss VAT. The regular Black Bay is CHF3250. A small premium for a movement upgrade from ETA to manufactured, and case from steel to bronze. 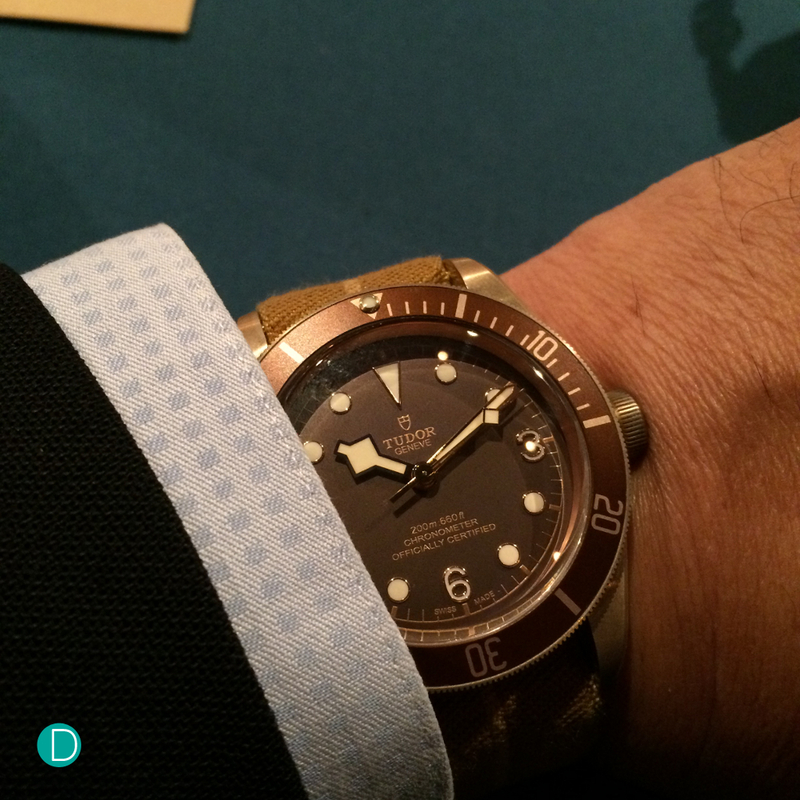 LIVE shots of the new Black Bay Bronze at Baselworld. Close up of the dial of the new Black Bay Bronze.